Stay fashionable even with a phone cover with this masterfully designed iPhone XS MAX cover. The built-in card slot is for your credit cards and cash to have someplace together with your phone. Retro horse texture makes the tactile impression amazing. Casual style gives you a boost of confidence as you use it. The flipping cover is used to give you the convenience of viewing media on your device at a horizontal position. Fits the iPhone XS MAX perfectly. 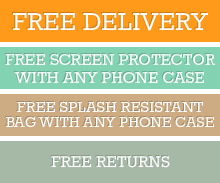 Free standard delivery Australia wide. Click the button below to add the Purple Retro Wild Horse Texture Leather Wallet iPhone XS MAX Case to your wish list.